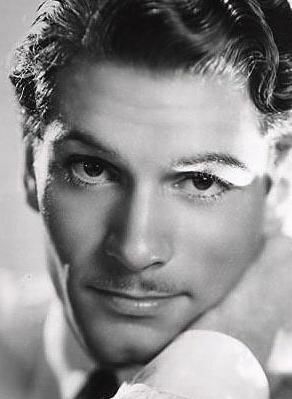 A suave Shakespearian actor Laurence Olivier was touted as one of the best and is still remembered fondly long after his death for his iconic roles. As for the names of the characters he has portrayed, as you guessed it they’re pretty awesome. Rudolf -From the Germanic name “Hrodulf” meaning “fame” and “wolf.” It has been worn by several rulers from different parts of Europe. Cantor -Cantor (“singer”) comes from the pre 10th century Frankish word cantroir which means “enchanter or magician.” This indicates that the name is closely related to the travelling theatres in medieval times. Cantor is a surname. Ezra -A Hebrew name meaning “help.” Ezra is a prophet in the Old Testament. Loren -Loren is an unisex name being either a short form of Laurence or a variant of Lauren. (See meaning below). Piotr -The Polish form of Peter meaning “stone.” It is pronounced PYAWTR. Laurence comes from the Roman cognomen Laurentius which means “from Laurentum.” Laurentum was a city in ancient Italy, the name possibly derived from the Latin laurus meaning “laurel.” It is the name of many religious icons, for example the 7th century archbishop of Canterbury. Ooh, I love Julius, Ezra and Maxim. Crassus probably isn’t about to make a comeback any time soon though …. This entry was posted on January 17, 2014 by Olivia in Articles and tagged actor, cantor, crassus, Ezra, Horatio, ivan, julius, laurence, laurence olivier, loren, maxim, Names, pfeuffer, piotr, rudolf.